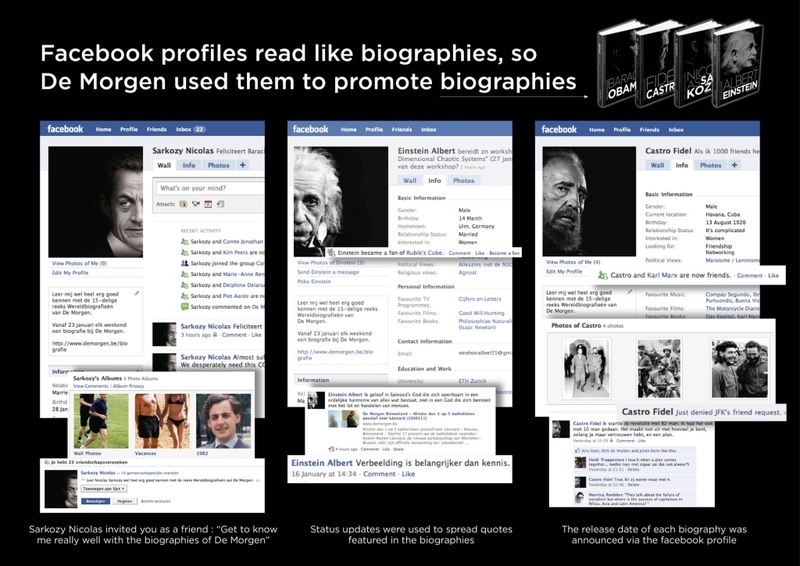 Facebook's been used to promote everything else so why not create "fake" Facebook profiles to promote biographies of world figures? That, apparently, was Duval Guillaume's thinking when it launched Facebook profiles for Albert Einstein, Fidel Castro and Nicolas Sarkozy. The profiles offer up quotes and images from the books as well as hosted comments and discussion of the figures. But only enough to tease so that you'll want to run out and buy the book, of course.